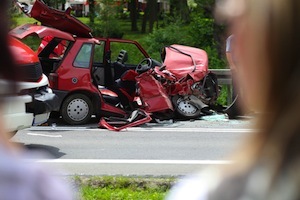 When a car accident takes someone's life, it is a painful and often confusing time for the family. Although a lawsuit may not be on the forefront of people's minds when they lose a loved one, New Hampshire law gives families the right to hold the responsible party accountable. The New Hampshire car accident attorneys of Tenn And Tenn, P.A., have represented many grieving families, and can help you seek the compensation you deserve. Even with a relatively small population, New Hampshire suffers its share of fatal car accidents. According to the State of New Hampshire Highway Safety Agency, about 110 people are killed each year in car accidents in the state. In recent years, as many as 40 percent of these fatal car accidents were alcohol related. The families of people killed in a car accident caused by another person's negligence have the right to hold the offending driver responsible. The decedent’s death (or injury that resulted in death) was caused, at least in part, by the defendant's actions. For example, drivers in New Hampshire must drive reasonably. This is a duty owed to all other drivers. Thus, a driver who texts while driving, drives too fast for conditions, or drives drunk has likely breached that duty. If that driver causes an accident that kills another person, the driver can be held liable to the decedent's estate for wrongful death. In addition to damages specific to wrongful death lawsuits, plaintiffs who bring a successful wrongful death suit are entitled to many of the same damages as a traditional negligence lawsuit. The estate of the decedent is entitled to compensatory damages for the injuries the decedent sustained before he or she died. These damages can include funeral and hospital bills, lost wages from a lifetime of work, and the decedent’s pain and suffering. Certain family members of the decedent can also recover damages intended to compensate them for the loss of their relationship with the decedent. For example, the spouse of a decedent can recover damages for loss of companionship. In some cases, the children of parents of the decedent may also recover damages. Ask a knowledgeable wrongful death attorney about the damages you and your family member’s estate may be eligible for. Losing a loved one is a trying experience. When choosing an attorney to represent you in a wrongful death case, look for experience, compassion, and a record of helping clients. The New Hampshire car accident lawyers at Tenn And Tenn, P.A. have the qualities you need to help you aggressively litigate your wrongful death case. If you have lost a loved one in an accident, call us today at (603) 624-3700 or fill out our online contact form to schedule a free consultation.